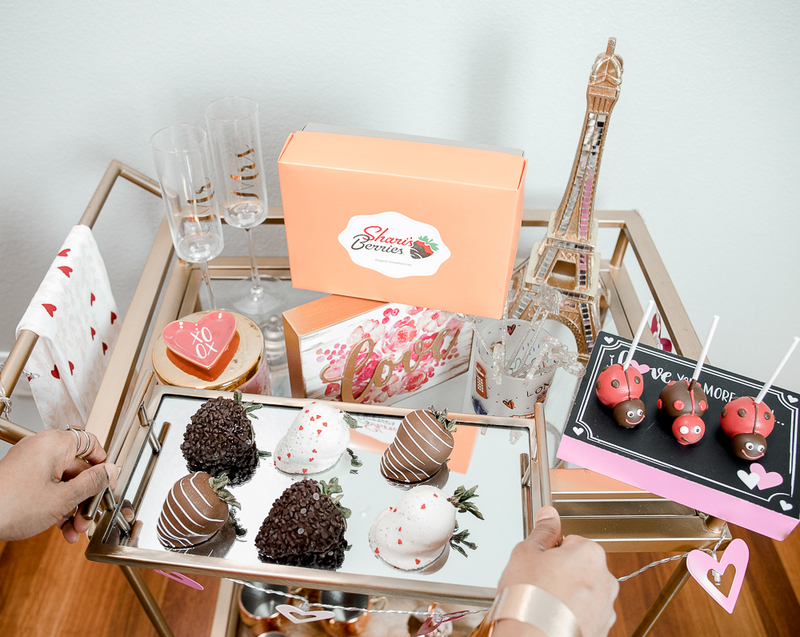 ‘Tis the season for all things hearts, xoxo’s, reds, pinks, whites, chocolates, and flowers! If I am being totally honest, all the holiday decorations at our home came down the second week of January and lots of ‘all things LOVE’ have been going up in all corners of the house since then. And I still have a few more which need to go up, it’s a work in progress really (especially when you keep getting tempted with every cute Valentine decor detail there is in stores and online, and you just can’t help but ‘add to cart’, and buy more and more). So yes, that’s that! 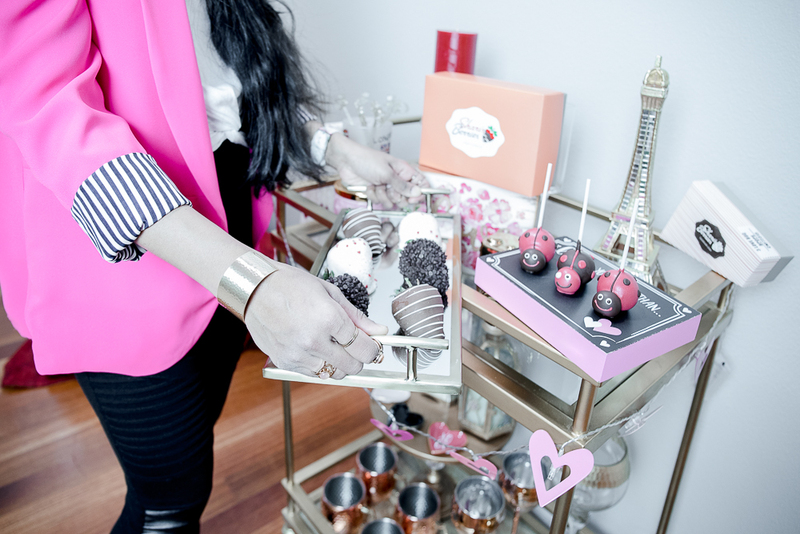 Check out my Valentine's Day / Galentine's Day Outfit ideas here. 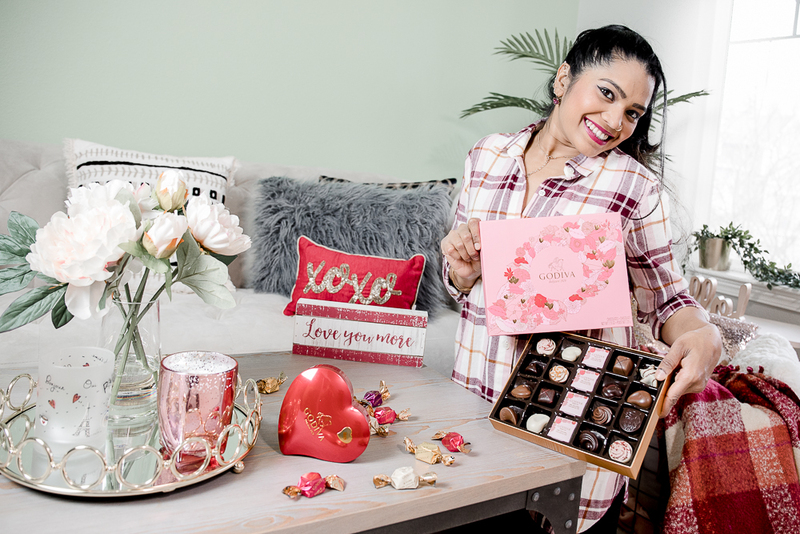 But the good news is that a lot of these Valentine’s Day and Galentine’s Day decor items and ideas aren’t too expensive, they are all very reasonably priced. And given that you have to put these away fairly quickly (unlike Fall and Christmas decorations) I too do not like to spend a whole lot of money on these. Pro Home Decor Tip: Start with (or buy) some basic decor items that can be used any season throughout the year (think Eiffel Tower, it is a perfect piece to put on display all year round and adds an extra touch of romance during this time of the year) and add elements related to the current season, in this case Valentine’s/Galentine’s Day. Accent Pillows, heart signs, LOVE signs, XOXO signs, Candles, lovey-dovey throws, cutesy love-related plaques, garlands, balloons, swirl decorations, pom poms, lights, party supplies, flowers, chocolates (yes, I use them as part of home decor, especially this time of the year), and last but not the least, photo backdrops and photo props. Tell me, what else would you include as part of your Valentine’s / Galentine’s Day home decor?